Teleflora is a network of 13,000 florists, nationwide. 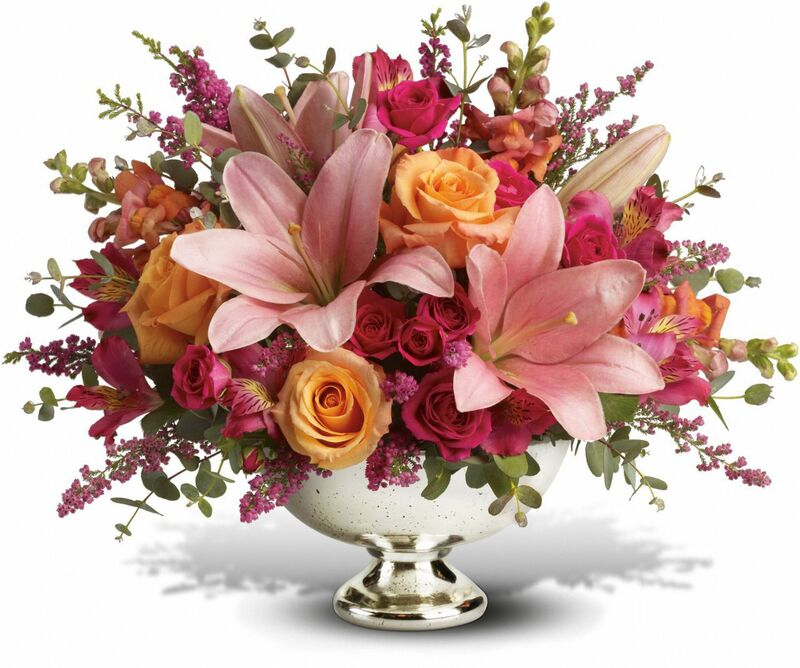 Teleflora-member florists have access to delivery of floral arrangements and non-floral gift items throughout the U.S.
Palace Florists, Inc. has been a member of The Midwest Group since 2003. The Midwest Group is a floral industry trade association consisting of 16 leading florists nationwide. Members meet regularly to share information, ideas, and best practices for the floral industry, with a focus on improving customer service and floral product offerings. Together the group represents over 500 years of floral industry experience, putting smiles on our client’s faces and helping customers in times of need. for all participants in the U.S. floral industry. The Society of American Florists (SAF) is the only national trade association that represents all segments of the U.S. floral industry. Our 15,000 members are the industry's top retailers, growers, wholesalers, importers, manufacturers, suppliers, educators, students and allied organizations. SAF is the face and voice of a strong, unified floral industry. CCABP or Chevy Chase Association of Business Professionals is a local chapter of BNI. As founding member, Palace Florists has been associated with CCABP and BNI for over 6 years. One of the premiere groups in Montgomery County Maryland and CCAPB was voted Chapter of the Year in 2004. Palace Florists is proud to be associated with these highly qualified business professionals. The District of Columbia Chamber of Commerce is a nonprofit membership organization dedicated to improving the climate for business in D.C. With over 2,000 members, DCCC has a powerful impact on legislation and the business climate. Since 1988, members have been meeting through monthly evening networking functions called "Martys," Team Network's unique blend of business meeting and socializing. Members regularly come together to have fun, build meaningful relationships and share their varied experiences to improve their business success. The "Team" network shares a common business philosophy: To offer uncompromising quality, dependability, and personal service to our clients and customers. "We use and recommend each other with confidence and you can too!"